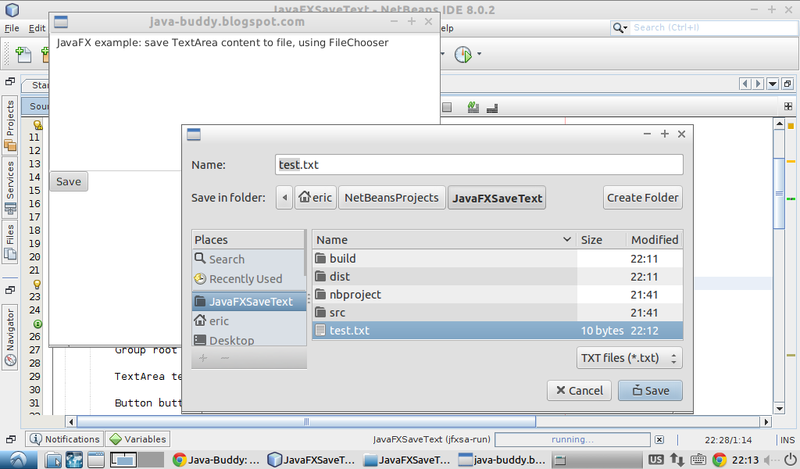 JavaFX example show how to get content from TextArea, and save it as txt file using FileChooser. Hello I'm using MVC format and I Have my file chooser in my controller. I have one for my open file button and the second for my save file button. when I try to save text from textArea my file chooser still just shows the cancel and open button and wont save file from textArea (terminalOut). what might I be Doing Wrong?? ?